How can I place giWeather inside an article or page of WordPress? 6. 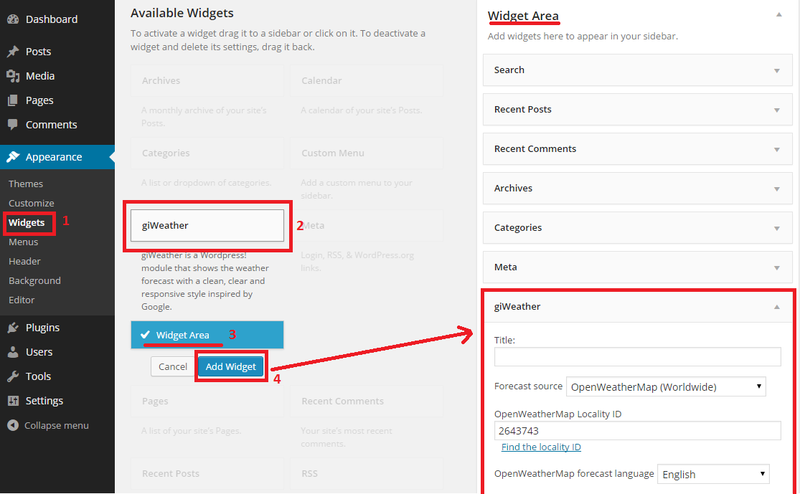 Configure the widget (choose the source forecast) and save it. 1. Next you need to identify the id of the locality . 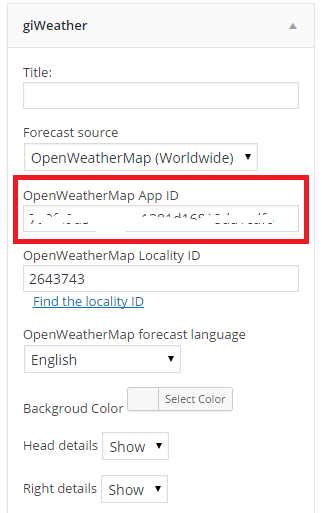 To do so follow the link "Find the locality id" in the widget configuration. 1. First you need to identify the id of the locality . To do so follow the link "Find the locality id" in the widget configuration. You can use the plugin amr shortcode any widget.